The Pro Gun eliminates the needle and seat design, boosts cost savings and reduces emissions. Experience in the industry and documented research, have proven that low pressure guns, like Pro Gun, significantly reduce emissions and porosity. The Pro Gun ensures that larger amounts of material reach the intended application surface instead of misting away or evaporating into thin air. Our large gun selection meets individual customer needs worldwide. Magnum Venus Product’s Pro Gun is one of the most versatile guns for use in the Composites Industry. With low pressure and low emissions, thousands of operators have found their gun of choice. 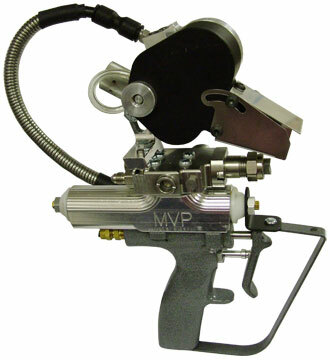 The Pro Gun utilizes internal mix technology which cuts down emissions and material waste. 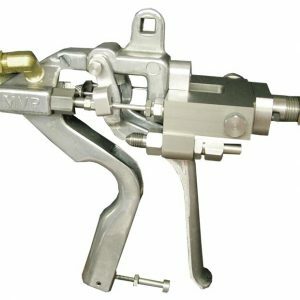 Using lower operating and catalyst pressures than other guns, the Pro Gun dramatically reduces atomization. 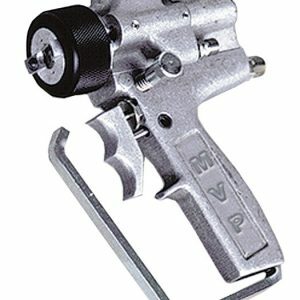 Featuring an ergonomic light-weight design, with smooth pneumatic trigger action designed for better finger control, this gun is both efficient and comfortable to use.